A dazzling debut about family, home, and grief. The Floating World takes readers into the heart of Hurricane Katrina with the story of the Boisdorés, whose roots stretch back nearly to the foundation of New Orleans. Though the storm is fast approaching the Louisiana coast, Cora, the family's fragile elder daughter, refuses to leave the city, forcing her parents, Joe Boisdoré, an artist descended from a freed slave who became one of the city's preeminent furniture makers, and his white "Uptown" wife, Dr. Tess Eshleman, to evacuate without her, setting off a chain of events that leaves their marriage in shambles and Cora catatonic - the victim or perpetrator of some violence mysterious even to herself. This mystery is at the center of C. Morgan Babst's haunting, lyrical novel. Cora's sister, Del, returns to New Orleans from the life she has tried to build in New York City to find her hometown in ruins and her family deeply alienated from one another. As Del attempts to figure out what happened to her sister, she must also reckon with the racial history of the city, and the trauma of destruction that was not, in fact, some random act of God, but an avoidable tragedy visited upon New Orleans's most helpless and forgotten citizens. The Floating World is the Katrina story that needed to be told - one with a piercing, unforgettable loveliness and a nuanced understanding of this particular place and its tangled past, written by a New Orleans native who herself says that after Katrina, "if you were blind, suddenly you saw." The house bobbed in a dark lake. The flood was gone, but Cora still felt it wrapped around her waist, its head nestled on her hip. She laid her hands out, palms on its surface, and the drifting hem of her nightshirt fingered her thighs. Under her feet, lake bed slipped: pebbles and grit, mud broken into scales that curled up at their edges. Her legs dragged as she moved under the tilting crosses of the electrical poles, keeping her head tipped up, her mouth open. Her fingers trailed behind her, shirring the water that was air. Troy's bloated house reeked of flood. Dirt, mildew, algae, the smell of the dead. On the dusty siding, she traced the line of sediment that circled the house, high up where the water had come. Beside the door was the mark of the storm:. The hurricane is an effective backdrop and metaphor for life's smaller tragedies as experienced by the Boisdoré family, the dissolution of a marriage, a parent's slow drift into dementia, the inability to protect a loved one who is seemingly too fragile for the capricious world. If this all sounds astonishingly bleak, it is. Babst really piles on the human misery, and for some readers it will be too much. There is no "happy" ending for these characters, at least not now, but there could be, and that's left to the reader to imagine. The fact that they go on, that they endure, is something. (Reviewed by Lisa Butts). This review is available to non-members for a limited time. For full access, become a member today. This is a spot-on examination of race and the tumult natural disasters leave in their wake. 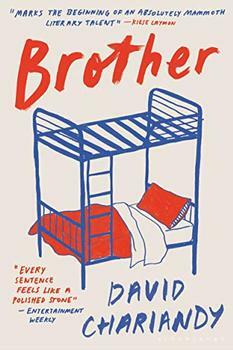 Despite a discordant ending, this is a riveting novel about the inescapable pull of family. Waving through time in chapters labeled with the number of days before or after Katrina's landfall, Babst's debut will appropriately unmoor readers, too. Starred Review. A richly written, soak-in-it kind of book...utterly affecting. Starred Review. [A] powerful, important novel…Deeply felt and beautifully written; a major addition to the literature of Katrina. This book is an achingly precise diagram of a city and family in heartbreak. Babst's writing is fluid and insidious and hauntingly beautiful. The Boisdorés join some of the great families of American fiction, fascinating kinfolk through whom we watch the rise and fall and rise of New Orleans. In The Floating World, C. Morgan Babst masterfully, hauntingly, evokes the devastated and devastating landscape of post-Katrina New Orleans with images that are at once surreal and painfully real. This is a rich and powerful novel, satisfying on many levels - wry, eloquent, passionate, and completely memorable. In powerfully lyrical prose, Morgan Babst evokes the shattered lives strewn in the wake of the levee collapses that left New Orleans in ruins. It's a story still difficult to believe - even by those of us who lived through it. This powerful and lyrical novel captures the emotional currents in New Orleans after Katrina. With an authentic and sensitive voice, Morgan Babst explores family, race, class, and the essence of disruption. The Floating World is a thought-provoking story of class and race and trauma, told through the dramatic prism of Hurricane Katrina and its aftermath. Babst's sentences are so fresh and alive they leap off the page. This is a beautiful and captivating book. This "beyond the book" feature is available to non-members for a limited time. Join today for full access. In luminous, incisive prose, a startling new literary talent explores masculinity, race, and sexuality against a backdrop of simmering violence during the summer of 1991. From the critically acclaimed author of The List comes a stunning new novel about a girl who must say goodbye to everything she knows after a storm wreaks havoc on her hometown.